Can you believe Christmas is almost here? Next month we will be in full "Christmas mode", from decorating to crafting to learning with a Christmas theme! 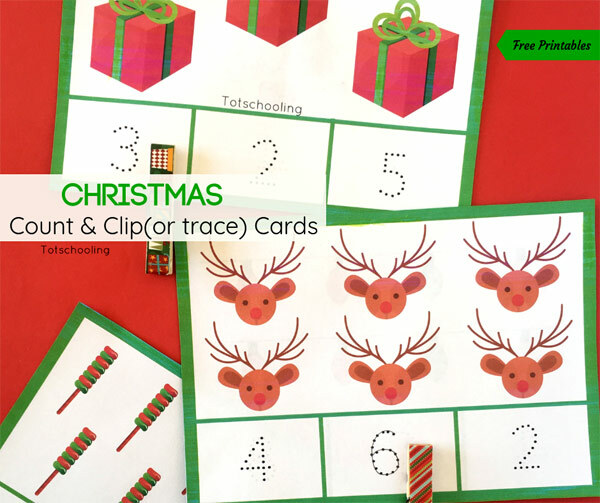 These Christmas count and clip (or trace) cards are perfect for the month of December! Count and clip cards are great for young children to do independent work. It could be used in the Maths center in a classroom or as a busy bag/quiet time activity at home or on the go! Tip: To use in a class, print more than one set so that a few children can work with it at a time. It practices counting skills and number recognition in a fun way! 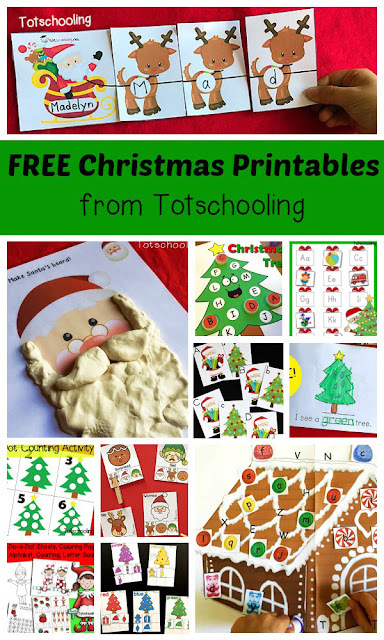 Preschoolers need these skills before starting school, so let them develop it with these fabulous Christmas cards. Print the free pages, there are 5 printable pages with 2 cards each, totaling 10 cards and numbers 1 to 10. Laminate the pages, then cut out the cards. Use pegs or clothespins if you choose to use the cards as clip cards. This is working on those fine motor skills as well, bonus! Pretty up your pegs/clothespins with Christmas themed Washi tape, simply decorate it with markers or use colored pegs. The kids can help decorate the pegs in a craft session, how fun! Or, simply use it as count and trace cards. If laminated, use a dry erase marker. If not, simply use a pencil to trace the correct number after counting the pictures. 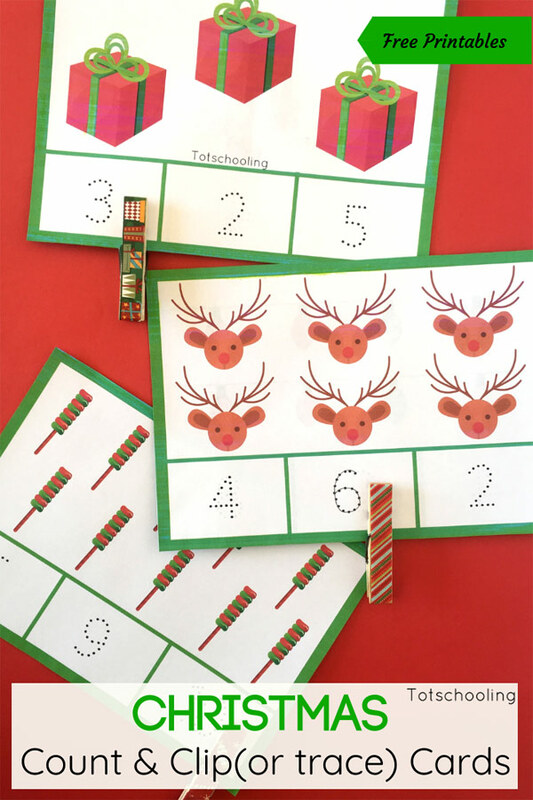 Be sure to grab your free copy and work on counting skills, number recognition and fine motor skills with these fun Christmas count and clip cards!